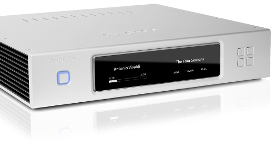 Aurender are a South Korean company making a popular range of music servers and other audiophile playback components. In common with the other major music server makers, I get frequent emails asking how best to fix missing cover art for these devices. 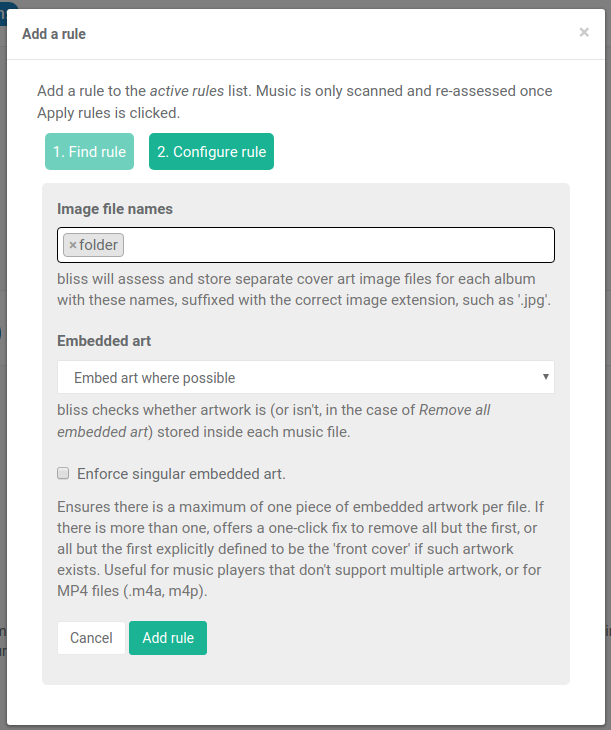 Like other manufacturers, missing album covers for Aurenders' servers can be fixed by ensuring your music library complies with the server's rules for discovering and displaying artwork. Store images embedded inside music files and/or in a folder.jpg file. Store images in JPEG or PNG format. Our research so far (and Aurender's own documentation) suggest there are thankfully no rules for artwork resolution or size... but if it turns out there are this can also be fixed by bliss, so let us know your experiences! Click Add rule and the full complement of Aurender rules are configured. 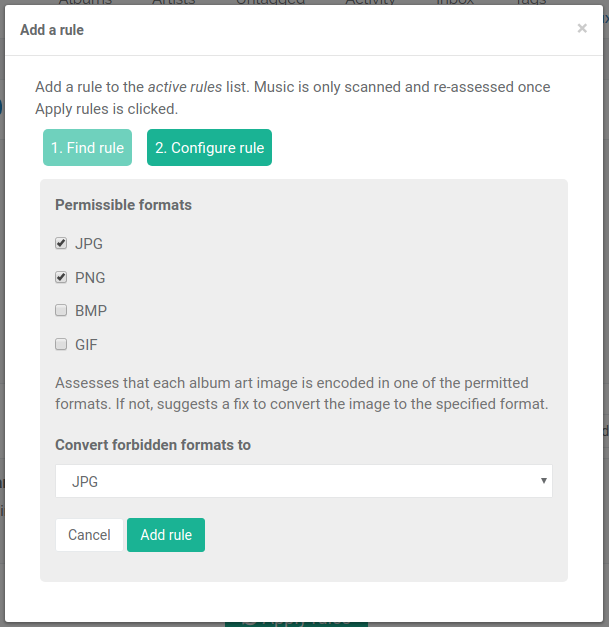 Now click Apply rules and your music library will be scanned, and each album checked for compliance with your rules; that is, you have embedded artwork, a folder.jpg and all artwork is PNG or JPEG. Missing artwork is filled in automatically. If you have it locally (e.g. it is embedded but not in a folder.jpg) local art will be re-used. If you have no artwork at all it is looked up on the Web. 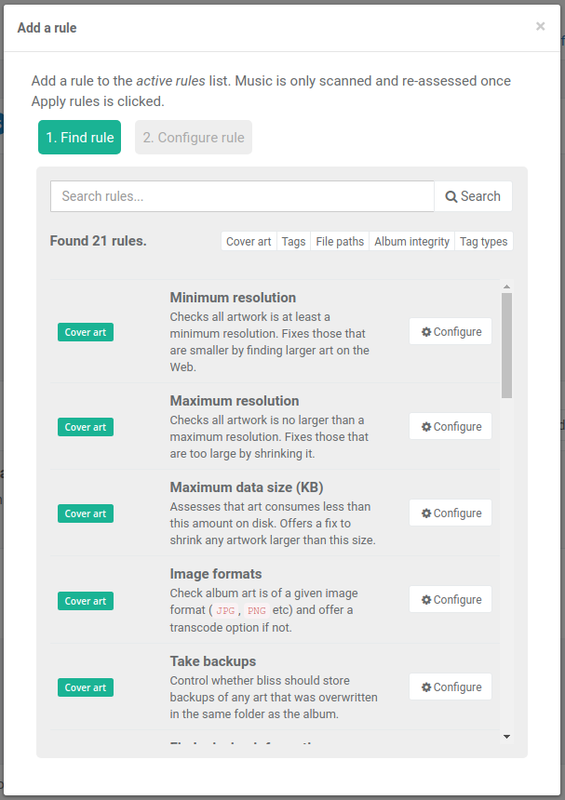 Converting image formats doesn't happen automatically (at the moment! ); the quickest way of semi-automating this is using the Fix all visible buttons in the Inbox. But it's generally pretty rare to have non-JPEG/PNG images anyway. 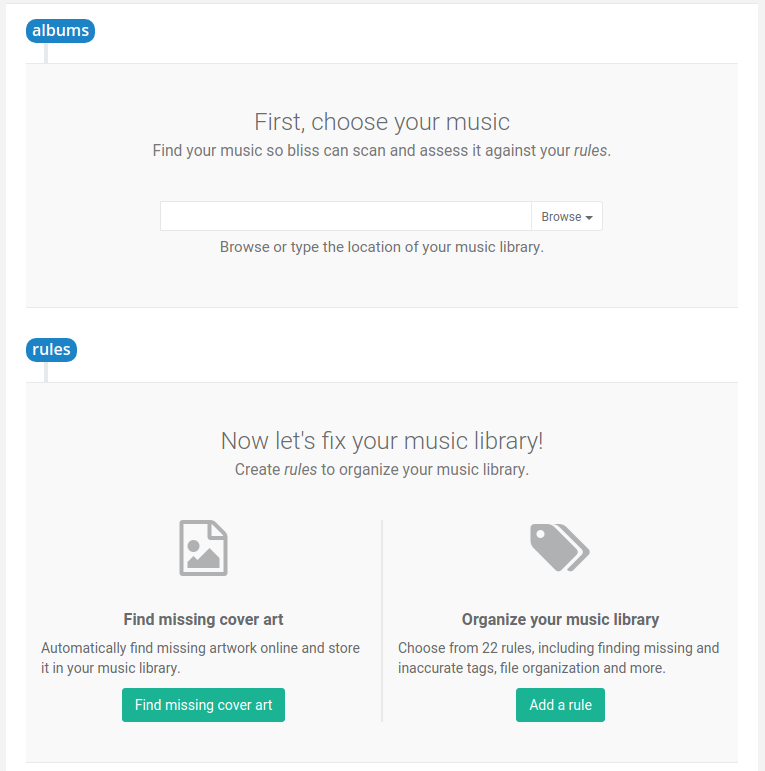 I hope this helps fix missing cover art on your Aurender music server!